With good road access to Warrington, Manchester, Liverpool and Leeds, this elegant business centre is situated on a picturesque business park and provides a variety of serviced offices ranging from one-person to large corporate open plan spaces. The space can be accessed 24-hours a day, and there is a nearby health club, with spa facilities, as well as a hotel that can be utilised by any visitors. This centre features a state-of-the-art interior design and fit-out service scheme, allowing easy use of services including designated parking, reception and concierge service. The site, in the Manchester-Merseyside corridor, is located on a business park, close to the M62 and M6 motorways. Manchester International Airport is within easy reach, as is Birchwood Train Station so the space is well connected. Situated on its own self-contained site over two floors, this fully refurbished office has access to the popular Birchwood Park and can provide a striking HQ for businesses who want to benefit from being close to Manchester Airport and having frequent, direct rail links to London. 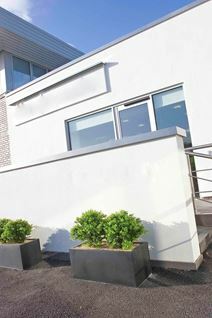 Reception services are offered, as well as secure parking spaces and kitchen access. The space is accessible 24-hours a day. Situated within a landmark building in a leafy neighbourhood, these modern fully serviced office suites are at the heart of a vibrant business community encompassing small and large businesses from a wide variety of industries. Good local transport links to link you to Manchester and Liverpool quickly and easily. The space is accessible 24-hours a day, which is great for flexible working if required. Located in pleasant surroundings in a popular business park, this serviced office centre is easily accessible and close to a wide range of local amenities. 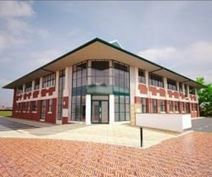 This inspirational centre provides fully featured modern office space along with a host of quality business services. There are excellent on-site amenities including meeting rooms, conference facilities, a management team and postal facilities and mail handling. With great local connections to Liverpool and Manchester this imposing building is arranged over two wings and located in the heart of Birchwood Park encompassing a total of 58,000 sq. ft. to accommodate a wide range of size requirements. Accessible 24-hours a day, the space is air conditioned creating a comfortable working environment. Warrington Bank Quay Railway Station provides a direct rail link to London.